Sweet addition to the room of a gymnast. These huge wall decal are easy to use and do not damage the walls at all. It comes with instructions and video on how to are found easily on Youtube. Choose from our amazing color choice to make a perfect fit for your room! This quote of Shakespeare is just the perfect fit as well! An awesome gymnastics gift, this gymnast wall decal can be applied on any wall. Women Runners silhouette Car Decal Bible verses inspirational running car sticker She believed she could, so she did. 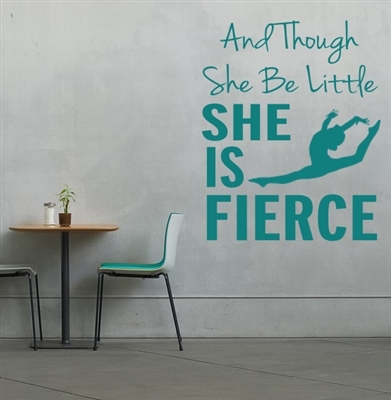 - Wall Poster Running wall decal - Never ever Give up.